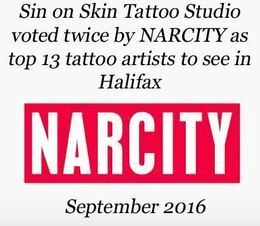 At Sin on Skin we believe an artist should be comfortable and skilled in many styles of tattooing. 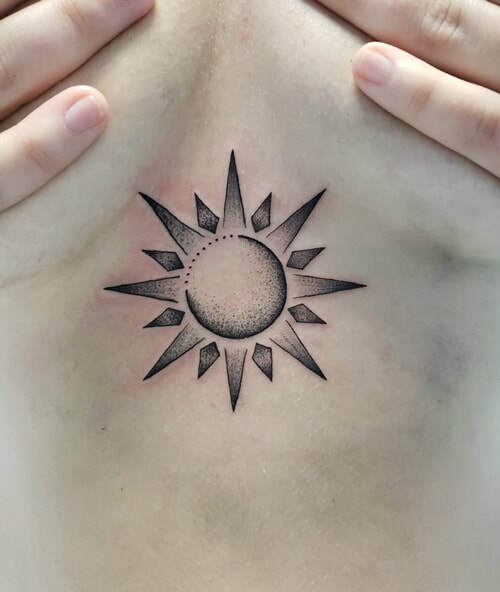 Fine line tattooing is one of the newer styles you’ll find in tattoo shops and has been achievable because of the improvements made with tattoo machines, inks, and needles. Artists today are able to add more detail and special effects to their artwork. Fine line is often used in portrait tattoos or to achieve a delicate look. 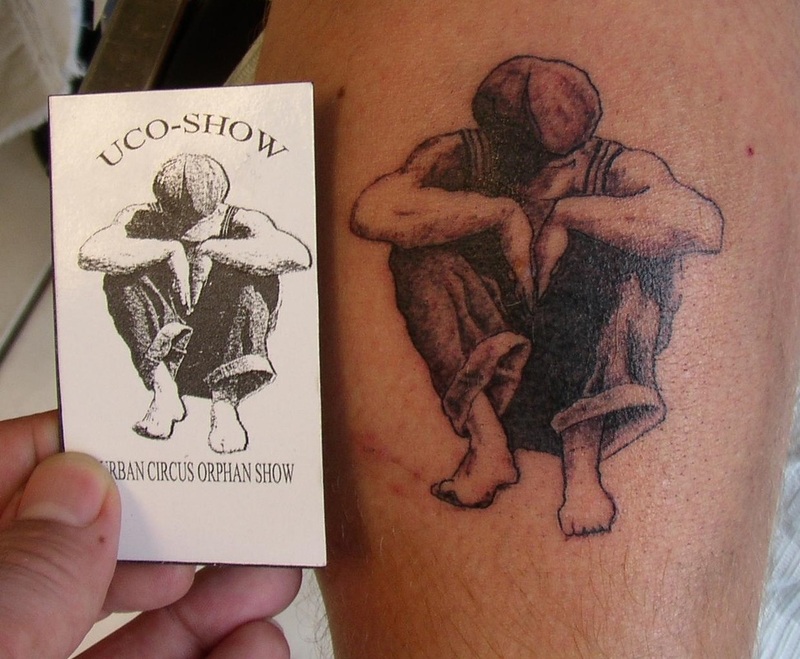 Using a Busker's business card, Eldrick was able to recreate his design in tattoo form for him. Body modification has been practiced for centuries. Groups on the Northwest Coast; such as the Haida, were no exception. 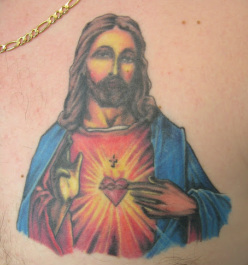 The tattoos themselves, were indicative of status, spiritual devotion and decoration. For the Haida, body art and adornment were a means for individual expression, as well as their part of a social unit, or a lineage. 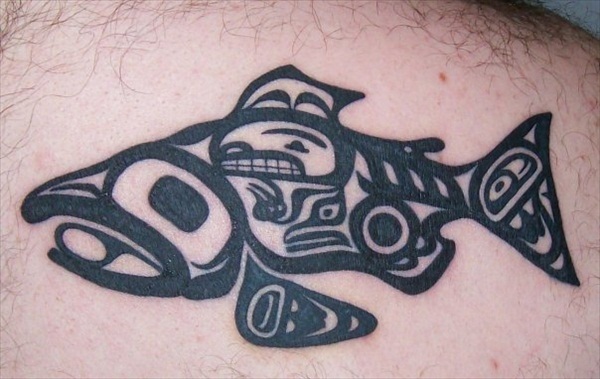 Haida tattoos put a persons identity and spiritual connection on display through the use of crest figures and/or guardian spirits. 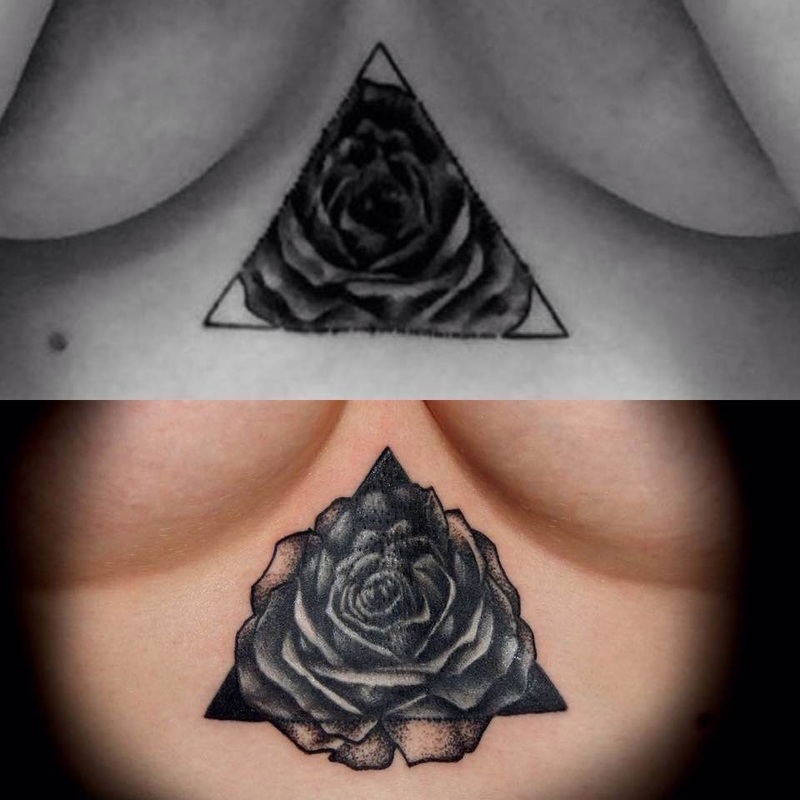 This style of tattooing is using shades of black and greys, colors can be used as well, to produce the cracked stone like quality throughout the tattoo. These tattoos tend to be more detailed and can really give a tattoo a very old and rustic feel. Stonework is usually produced with a finer line to really show off every little crack and chip in the tattoo. This style represents a radical contemporary art style, it mimics the street style art you see all around you. You see it as letters, numbers or incredible works of art on sidewalks, walls, vehicles, etc.. Now you see it as a style for the skin. Graffiti style snake wrapped around a cross. This bold style stands out on it's own; with much of the work done in black and grey. The artist then uses red accents to really make a statement with this piece. Although some artists will use other colors, red is the true color of a Trash Polka style. The style was introduced in Würzburg, Germany at the Buena Vista Tattoo Club by Simone Plaff and Volko Merschky. The style resembles fine art collages; it combines realistic images with smears, smudges, sometimes words, and kinetic designs that generate a chaotic look to the piece. Trash Polka pieces are only done in red or black ink. According to Volko, "This style is a combination of “realism and trash; the nature and the abstract; technology and humanity; past, present, and future." Check out examples of Trash Polka designs here. 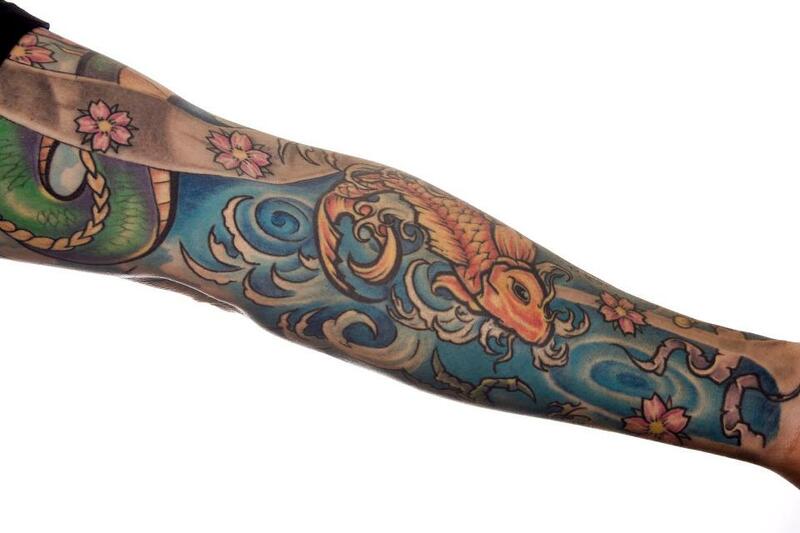 Asian themed tattoos frequently using Koi fish, cherry blossoms, Buddha, lotus, dragon’s, war dogs, samurai’s or geisha’s. Many of these are used in combination to tell a story as well as create a piece of timeless art. 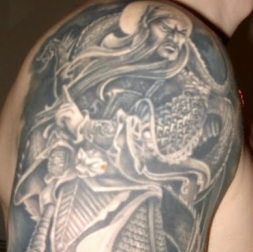 This type of tattoo is usually very detailed. This is basically a tattoo that will cover the whole body. The work is carefully planned out ahead of time before the work on any part of the body begins. This style seems to be more 2 dimensional or flat, almost like print on fabric. These designs are made up of intricate knots. Celtic comes in many forms; knots, crosses, spirals, trinity knots, tree of life, and animal forms. This style of art represents the people from Gaelic, Welsh, and Breton folklore. This type of work was handed down from multiple cultures including Native American, Micronesia, and Polynesian. In ancient times, they would be represent one as an accessory to a certain tribe, also express puberty, a milestone in life or marriage. American Indians form of tribal tattoo was meant to represent culture, ritual beliefs, spirits or nature. Hawaiian tribes carried tattoos as a form of identification, protection or mourning expressions. Many tribes used tattoos to show bravery. 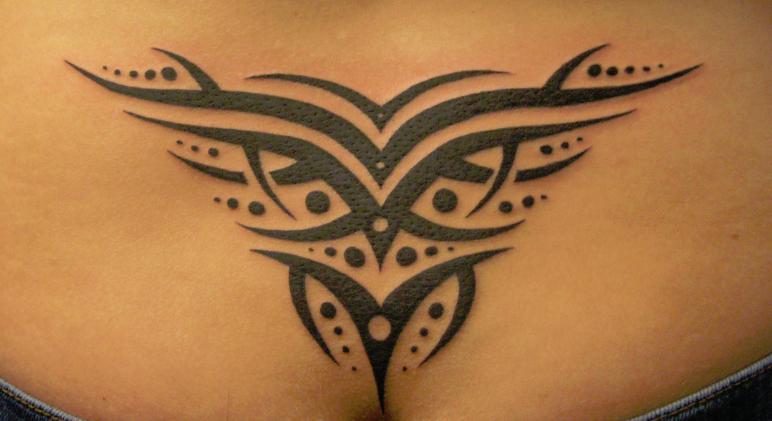 Tribal tattoos are usually black in color and are composed of solid geometric designs. Can also be done in a "stonework effect" or in color but black is the most common. 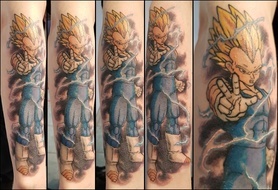 Vegeta character from Dragonball Z done by Eldrick. Each Polynesian island has it's own styles of tattooing making it a truly unique experience. Modern or traditional styles make up this style, using flowers, faces, figures, animals, and abstract shapes. 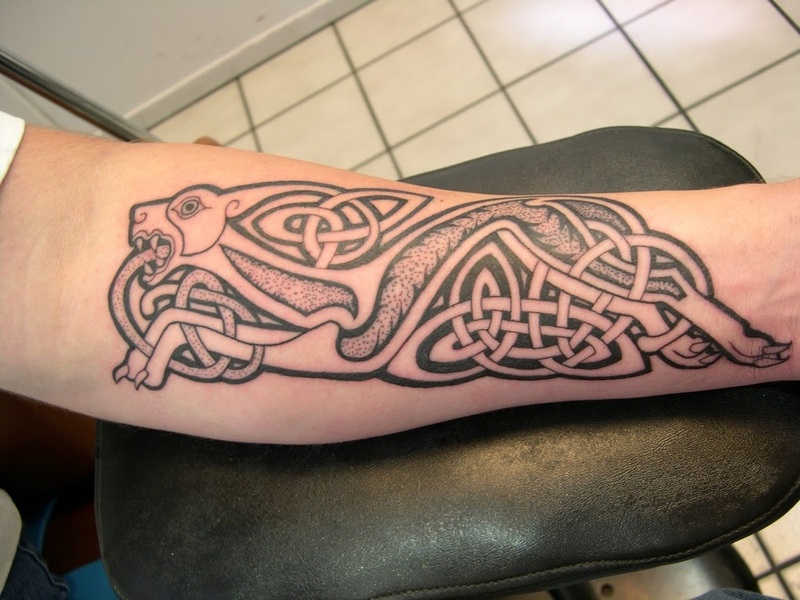 Depending on style it may be bold, black abstract and figurative designs or fine line high detail , single needle outlines, designs that concentrates more on symbolism or overall design. Usually done with a tattoo machine or by wooden sticks, which is a traditional hand tapped tattoo. This style is used to express identity, personality, one's society status, hierarchy, and sexual maturity. Polynesian tribe tattoo styles symbolized traditions, legends and religious beliefs. Maori art is from The indigenous people of New Zealand, known for their use of extensive body markings to represent cultural identity and status. Samoan art is generally made up of the geometric patterns that are based on ancient designs, and often denote rank and status. The Samoan warrior's tattoo began at the waist and extended to just below the knee . 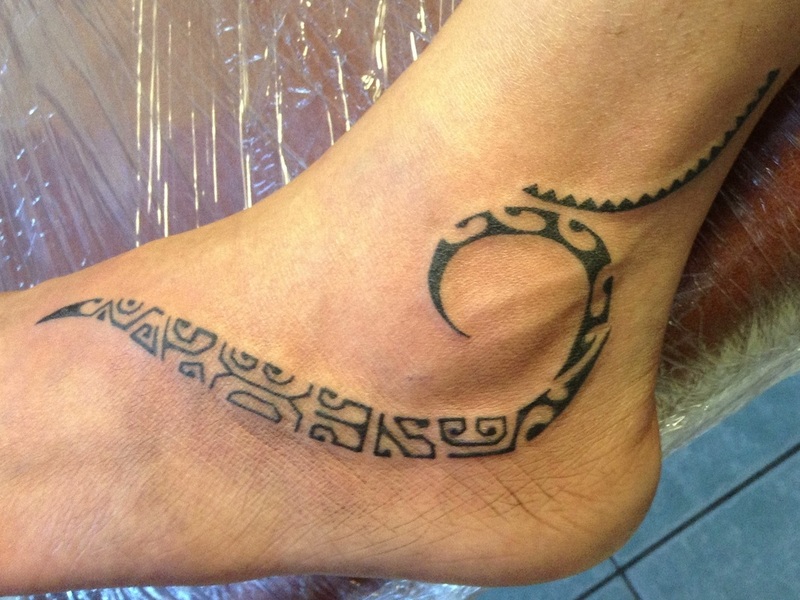 A Polynesian style ankle/foot tattoo by Eldrick. 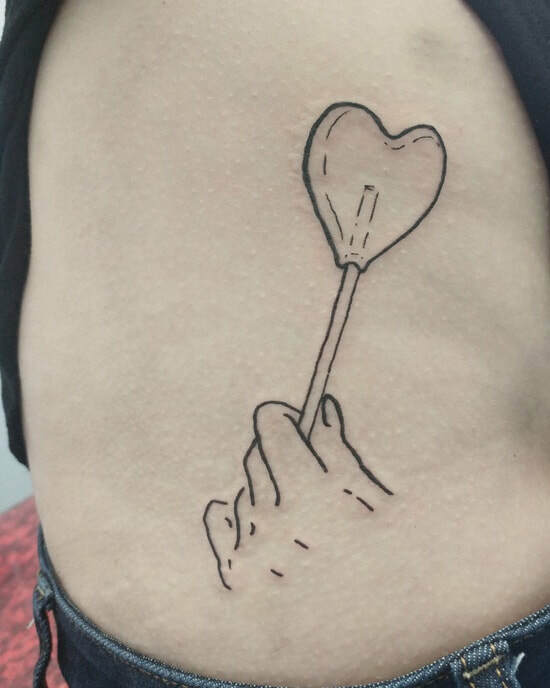 Hand holding a sucker in fine line style by Michaella. 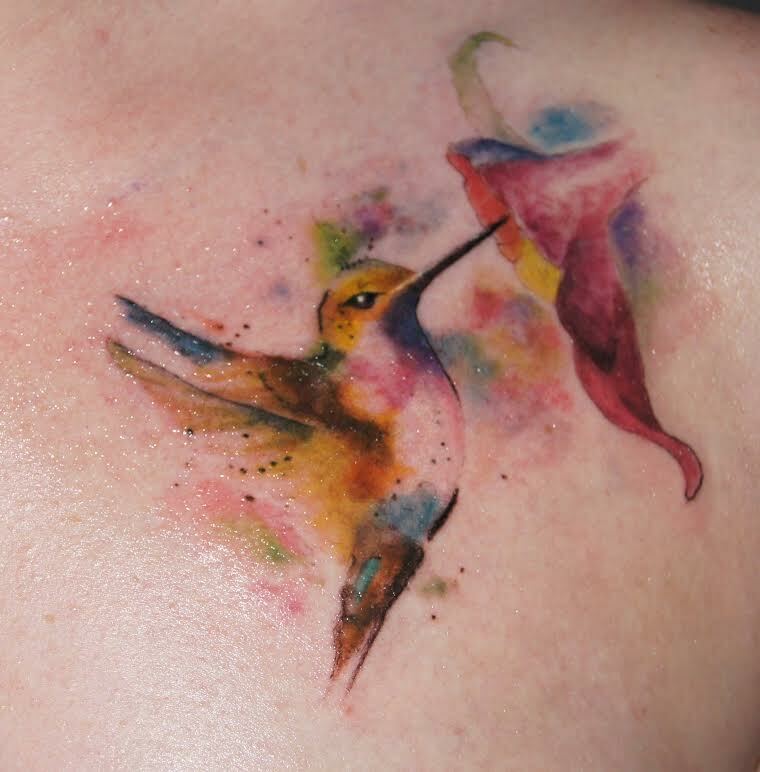 Eldrick used very little black ink in this Hummingbird tattoo; just enough to ensure this piece will hold up over time. 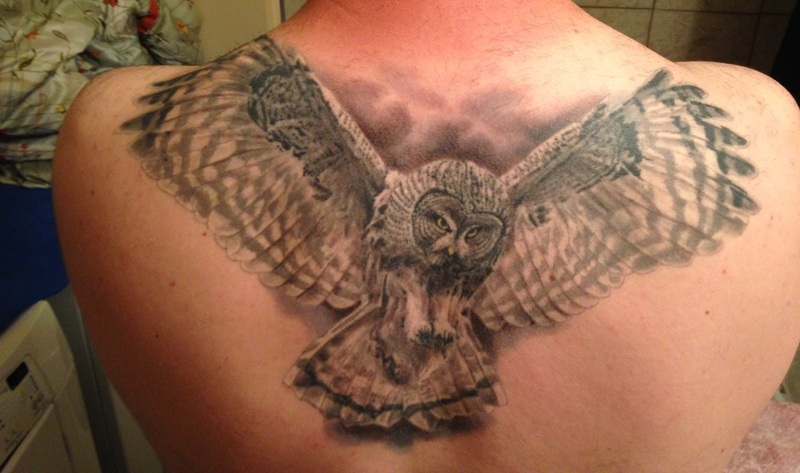 A beautiful realistic black and grey Owl tattoo by Kyle LeBlanc at Sin on Skin Tattoo Studio. This is when the black ink is diluted to lighten up the tint. Usually the black ink is diluted at different degrees to have a wide range of shading densities. This is a machine like form of art that sometimes combines humans with machines. If you are familiar with HR Geiger’s artwork then you’ll be familiar with bio-mechanical artwork. Old School (AKA. 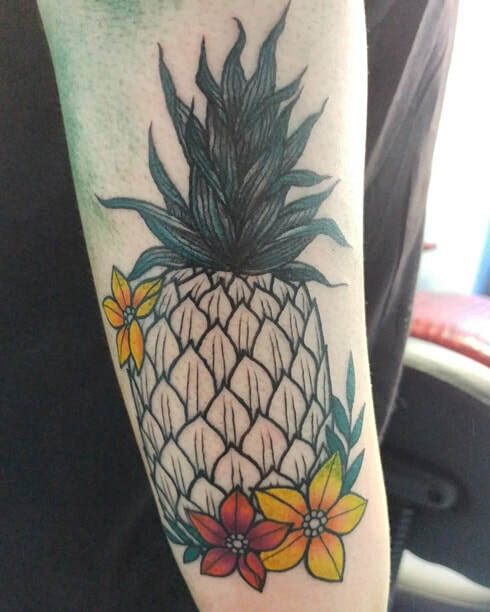 Old Skool or American Traditional) tattoos are usually images that are two-dimensional, bold colors using only a simple color palette and low intricacy/detail. 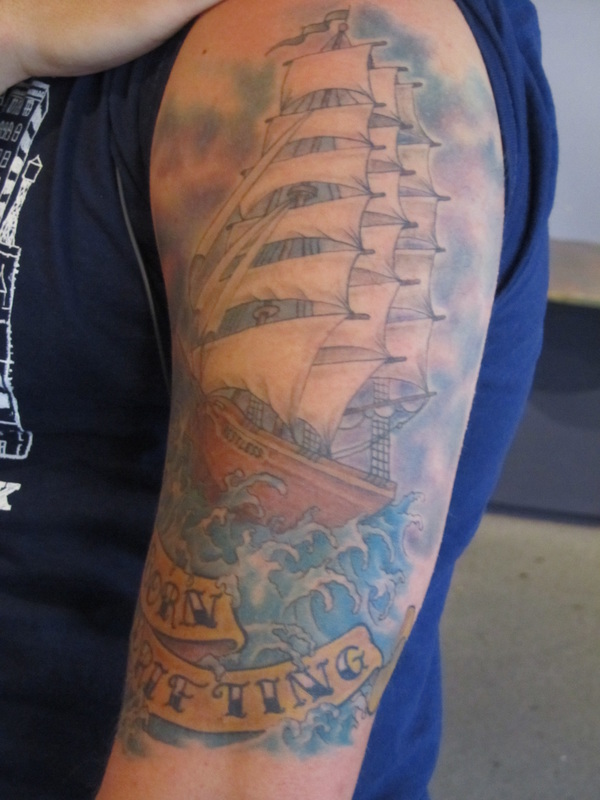 Popular in the 1800's and are also referred to as nautical tattoos. These include mermaids, ships, anchors, pin ups, banners and sparrows. They consisted of bold, blue-black outlines, usually filled with solid red and green with rare additions of blue, yellow, brown and purple; with little or no shading. Norman Keith Collins, also known as “Sailor Jerry" is one of the most well known traditional tattoo artists. Thicker lines are used and the inspiration is typically nautical and military in theme. Using Eagles, anchors, swallows,ships, hearts and banners. Kyle used a beautiful Orchid to cover this old tattoo and 6 inch scar. 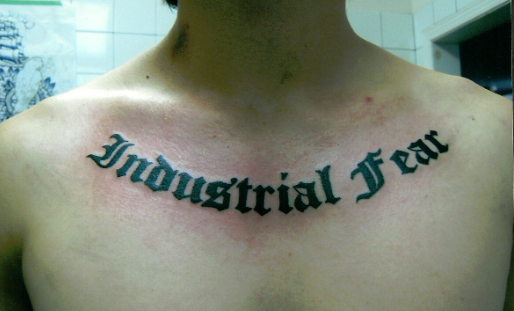 ﻿White ink leaves you with a tattoo that looks more like a scar or skin discoloration. Over time it can turn pink, yellow or beige. It may also completely fade away within the healing phase or months after. Many tattoo artists will advise their clients to add a pale blue, pale yellow or pale purple to add another pigment to which the white can grab hold. 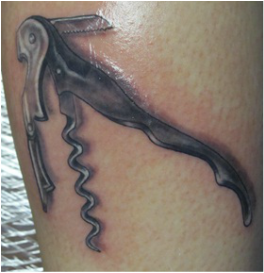 In this tattoo of a wine screw by Eldrick, you can see how white highlights really make this piece pop. As a highlight, white is amazing, on it's own it tends to blend into your skin too much to be appreciated. 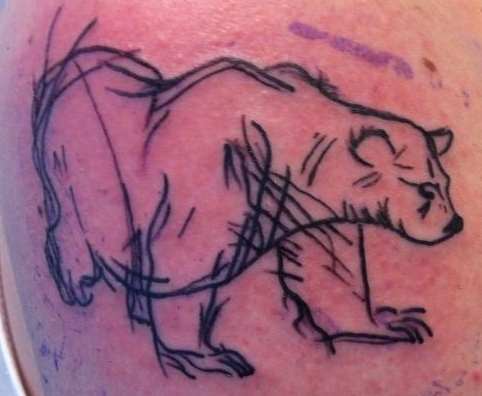 This (1 month old) Harper signature white ink tattoo is very hard to see. This is why we don't use white on it's own, it tends to fade into your own skin tone. A Polygon style is any 2-dimensional shape formed with straight lines. Triangles, quadrilaterals, pentagons, rectangles, and hexagons are all examples of polygons. It's also very close to an abstract style. 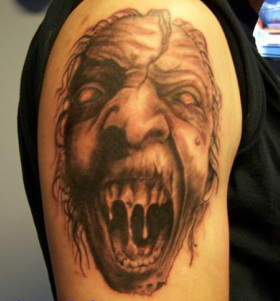 We can guarantee a lifelong addiction to our artwork and any of our artists will be more then happy to guide you on your path to tattoo perfection. Keep in mind when artists make creative suggestions it's for your benefit and that of your new artwork, so really listen to your artist. When they tell you an area is "not guaranteed" it's because that area has issues with shedding, color loss, loss of design and line blow out, making it impossible to guarantee a good heal. 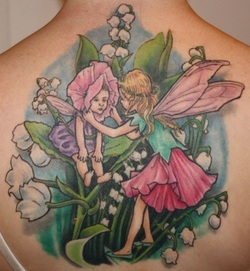 You may experience these issues within days of your tattoo being done or within the weeks that follow. Portraits, Tribal/Polynesian style, Cover Up & Re Working, Celtic, Writing, Working with Scar Tissue (mastectomy patients, surgery scars, burned skin) Photo Realism, Old School, New School, Family Crests, Horror, Designing Sleeves & Socks, Black & Grey as well as full color. All can easily be done, but if your style isn't listed , then please tell us what you you're looking for. Each artist has a wide & varied range of experience & styles, allowing them to help you design & create your next masterpiece. We do have a large selection of flash designs available, but encourage clients to take the time to find ideas/styles they like so that we can help them create / fine tune their tattoo. 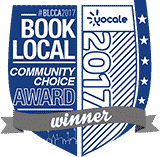 If you're unsure of who to book with just let us know your ideas or preferred styles so we can assign the perfect artist to create your artwork. 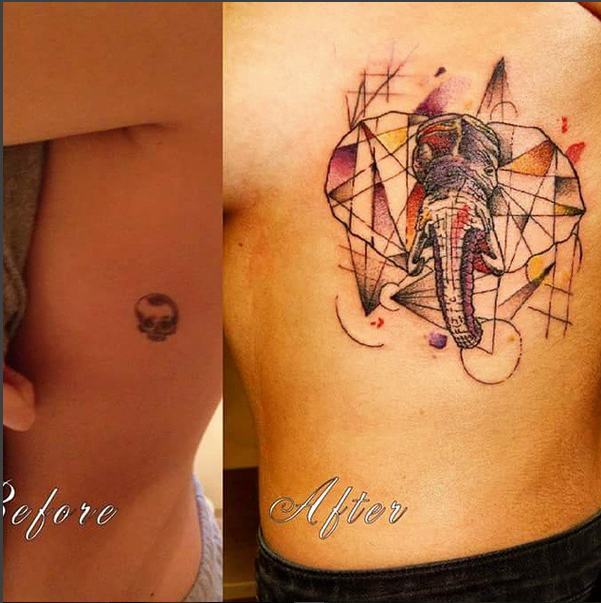 Each independent artist guarantee's their own work, any touch ups are free from the artist that tattooed you. The only exceptions to this rule are listed under "Non Guaranteed Locations" which are done "AT YOUR OWN RISK" (see FAQ).